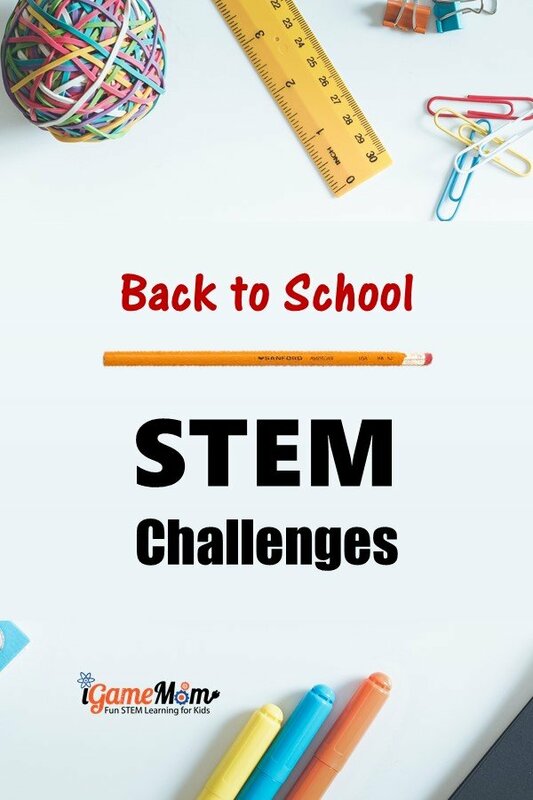 STEM challenges are perfect Back To School activities. What is STEM? STEM stands for Science Technology Engineering and Math. 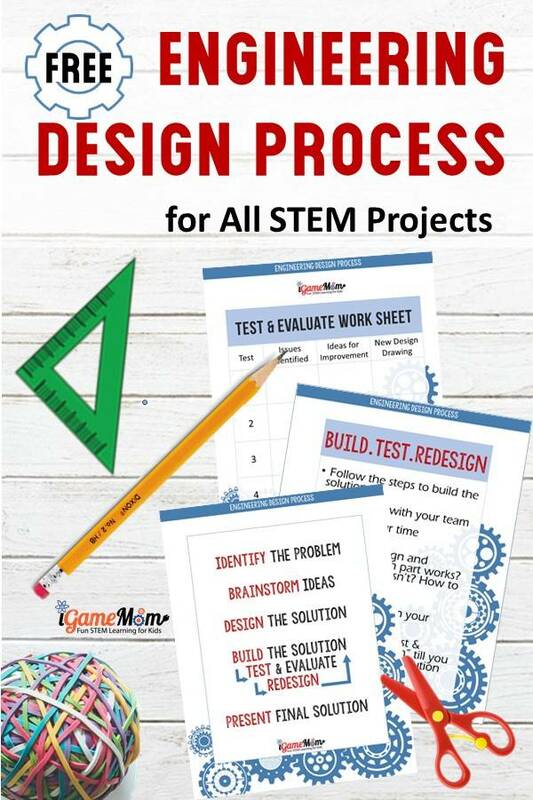 Some consider projects covering any one of the 4 discipline is a STEM project. 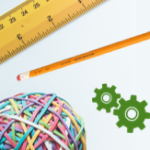 Some believe a STEM project has to incorporate all or at least two disciplines. The truth is, any project in one of the 4 discipline is more than likely involved with another discipline, some is more obvious than others. In general, STEM projects are interdisciplinary activities that teach kids scientific and design thinking and problem-solving skills, and help kids see the real world application of their learning. When choosing STEM projects, it is important to focus on the process instead of outcome. 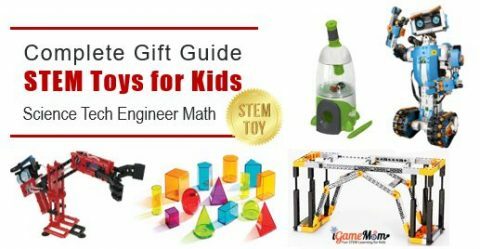 For back-to-school STEM activities, this is especially important, as it is at the beginning of the school year. The project you do will set the tone for the year. 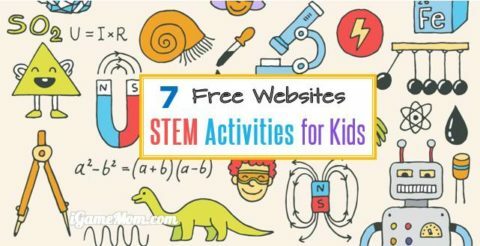 Here are some fun and free STEM challenge ideas. I suggest leave them as open as you can stand. Let the students lead the process, as long as you give them the key check points during the process. At the beginning of a school year, we all have plenty of pencils. Here is a creative way to use pencil for a STEM Challenge: Build Da Vinci Bridge with Pencils. This is a challenge for upper elementary to middle school students. It requires critical thinking, basic understanding of forces and gravity, and good team communication and team collaboration. It is not only a good STEM challenge, but also a good team building activity, thus perfect as a Back-to-school project. For lower elementary students, you can build a pencil catapult. This is a good example what the catapult could look like. However, it is just one design. Encourage your kids design their own. For kindergarten and preschool kids, you can try this pencil tower building challenge. 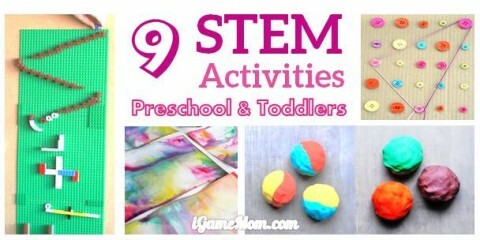 Kids can learn different geometric shapes, center of gravity, height and measurements while practicing fine motor skills. Another pencil STEM challenge for all ages is to challenge kids balancing sharpened pencils on the tip. How could it even possible to have a pencil standing on the tip? Once you find the trick, it won’t be hard. Science is magic only when you don’t know it. Need a hint? It is a center of gravity trick again. Most schools start a new school year in August or September when it is still pretty warm. 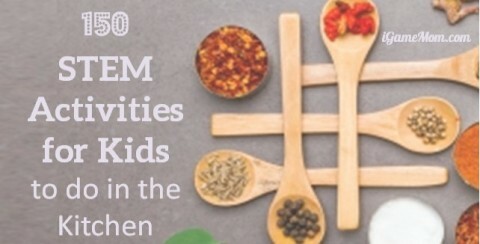 It makes sense to do an outdoor STEM challenge for kids to run off some energy. Egg Drop STEM Challenge is always fun and can be adapted to different age levels. The idea is very simple. You design a container that protects the egg from breaking while being dropped from a certain height. No matter what is the challenge design, kids will learn basic engineering design process. For younger kids, you can make the height of drop lower, and allow more materials to be used for building the egg container. For older kids, you can set up different limitation to make it harder. You can limit the materials they can use, either on the types of materials, or on the number of items can be uses. You can limit the building time, or you can increase the drop height. This is an example of Egg Drop Project Using Straws and Paper. We also did Egg Drop Project with Straws only successfully. Of course you can also challenge kids to design the Egg Drop project with paper only. No matter how you design the challenge, make sure to give kids enough time for re-design. From my experience, it is the diagosing, analyzing and re-design process that really helped kids learn the engineering design process. It is in fact the core of the design process that ensures the final success. Most STEM Challenges can be done with teams, including all the STEM Challenges we mentioned above. With everyone just coming back to school for a new school year, and many new students in the class, it is a good idea to start the school with some fun team building activities. STEM challenges are perfect for this. One thing to note though, while it is great for kids to learn collaborations when they have to work in a group, it is necessary to have a team size that allows everyone has opportunity to contribute. This means you want a reasonable size team. You want to adjust the team size based on the task. For most the challenges mentioned above, 2-4 kids in a team would be a good size. For large groups, try this ring lifter challenge. It can take 10+ students for each group. Another STEM activity that can have large teams is the cup tower. This is done a lot by many schools and camps, but it never gets old. Kids must communicate well among the team members to successfully build the paper tower. For any STEM Challeng, it is a good idea to incorporate Engineering Design Process into the project. We designed a package teaching kids the process with easy to follow chart and explanation of each step of the process. 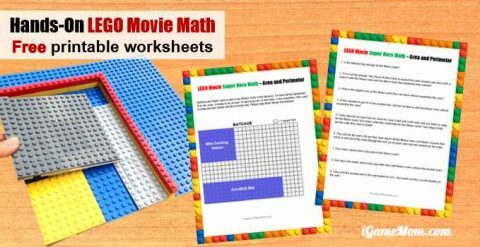 Also included in the package is the worksheet for student to use during their project design process. To download the package, simply fill out the form below.